Elizabeth Barrett Browning was born on 6 March 1806 in Coxhoe Hall, County Durham. She was the eldest of 12 children born to Edward Barrett Moulton Barrett and Mary Graham Clarke. In November 1809 she moved with her family to Hope End, near Ledbury in Herefordshire, where the family lived until 1832, when financial reversals forced her father to sell the house and much of the enormous estate. Elizabeth Barrett's first publication was The Battle of Marathon, in the style of Pope's Homer; 50 copies were privately printed by her father in 1820. In 1826 An Essay on Mind was published, and in 1838 a collection of poems entitled The Seraphim and Other Poems was published. These were followed by frequent publications in periodicals, and in 1844 her first collected edition appeared under the title Poems (1844); the American edition was entitled A Drama of Exile, and Other Poems. In 1850 a new selection of Elizabeth Barrett Browning's poems was published, and it included the now famous Sonnets from the Portuguese. On 12 September 1846, Elizabeth Barrett and Robert Browning were married in St, Marylebone Parish Church. A week later they left for Italy where they spent the remainder of their married life together. Their Florentine home, Casa Guidi, has been preserved as a memorial to the poets. During the 15 years the poets lived in Florence, Elizabeth Barrett Browning wrote Casa Guidi Windows (1851), which provide her personal impressions of the political events in Italy. 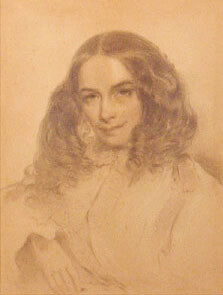 Aurora Leigh, Elizabeth Barrett Browning's longest, and what she considered "the most mature of my works," was published in 1856. Poems Before Congress, dealing with Italian political events, appeared in 1860, published in America under the title Napoleon III in Italy, and Other Poems. On 9 March 1849, the Brownings' only child, a son named Robert Weidemann Barrett Browning, who was known as Pen, was born. He later married but had no children, so there are no direct descendants of the poets. Elizabeth Barrett Browning died on 29 June 1861 in Casa Guidi. Last Poems was published posthumously under the supervision of Robert Browning in 1862. Today the Brownings are often known or remembered primarily for the unique love story of two poets joining their voices and lives together. In October 1997, Elizabeth Barrett Browning's sonnet, "How Do I Love Thee," tallied twice as many votes as any other poem to win the title "love poem of the year." This familiar sonnet was first published in Poems (1850), where it took its place as "XLIII" in what is now considered one of the great sonnet sequences in English literature. Even if somewhat well-worn, it holds up as a timeless expression of the love and devotion that one poet felt for another. Aurora Leigh and Other Poems. Ed. Cora Kaplan. London: Women’s Press, 1978. Aurora Leigh. Ed. Margaret Reynolds. New York: Norton, 1996. Elizabeth Barrett Browning: Selected Poems. Ed. Marjorie Stone and Beverley Taylor. Ontario: Broadview, 2009. The Works of Elizabeth Barrett Browning. Ed. Sandra Donaldson et al. 5 vols. London: Pickering and Chatto, 2010. The Letters of Elizabeth Barrett Browning to Her Sister Arabella. Ed. Scott Lewis. Winfield, Kansas: Wedgestone Press, 2002. Florentine Friends: The Letters of Elizabeth Barrett Browning and Robert Browning to Isa Blagdon, 1850-1861. Ed. Philip Kelley, Sandra Donaldson et al. Winfield, Kansas: Wedgestone Press, 2009. Avery, Simon, ed. Lives of Victorian Literary Figures: The Brownings. London: Pickering and Chatto, 2004. Dennis, Barbara. Elizabeth Barrett Browning: The Hope End Years. Bridgend: Seren, 1996. Forster, Margaret. Elizabeth Barrett Browning. London: Chatto and Windus, 1988. Garrett, Martin. Elizabeth Barrett Browning and Robert Browning. London: The British Library, 2001. Markus, Julia. 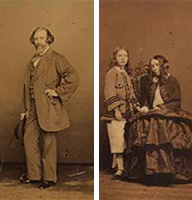 Dared and Done: The Marriage of Elizabeth Barrett and Robert Browning. London: Bloomsbury, 1995. Avery, Simon. Elizabeth Barrett Browning: Writers and Their Work. Tavistock: Northcote House, 2011. Avery, Simon and Rebecca Stott. Elizabeth Barrett Browning. London: Longman, 2003.
Cooper, Helen. Elizabeth Barrett Browning: Woman and Artist. Chapel Hill: University of North Carolina Press, 1988. Donaldson, Sandra, ed. Critical Essays on Elizabeth Barrett Browning. New York: G.K. Hall, 1999. Leighton, Angela. Elizabeth Barrett Browning. Brighton: Harvester Press, 1986. Mermin, Dorothy. Elizabeth Barrett Browning: The Origins of a New Poetry. Chicago: Chicago University Press, 1989. Pollock, Mary Sanders. Elizabeth Barrett Browning and Robert Browning: A Creative Partnership. Aldershot: Ashgate, 2003. Stephenson, Glennis. Elizabeth Barrett Browning and the Poetry of Love. Ann Arbor: U.M.I. Research, 1989. Stone, Marjorie. Elizabeth Barrett Browning. Basingstoke: Macmillan, 1995. 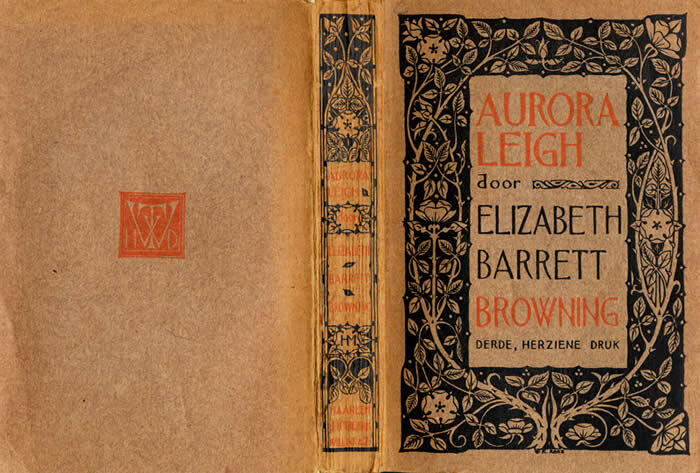 Melvyn Bragg and guests discuss Elizabeth Barrett Browning's epic "Aurora Leigh" which was published in 1856. It is the story of an orphan, Aurora, born in Italy to an English father and Tuscan mother, who is brought up by an aunt in rural Shropshire. She has a successful career as a poet in London and, when living in Florence, is reunited with her cousin, Romney Leigh, whose proposal she turned down a decade before. The poem was celebrated by other poets and was Elizabeth Barrett Browning's most commercially successful. Over 11,000 lines, she addressed many Victorian social issues, including reform, illegitimacy, the pressure to marry and what women must overcome to be independent, successful writers, in a world dominated by men.